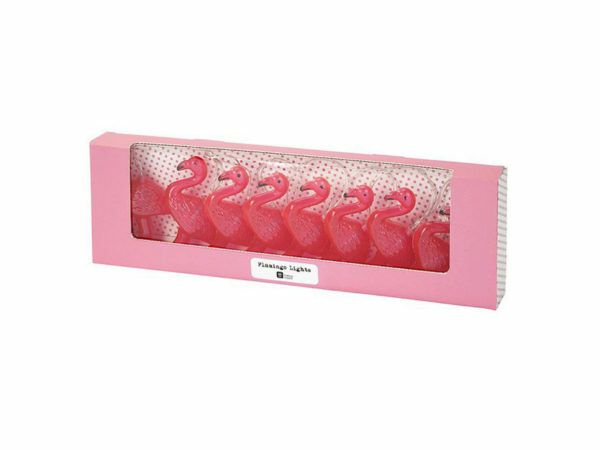 Add a small touch of summer to your summer indoor/outdoor activities with this 8 LED Flamingo String Lights by Talking Tables. The string lights are approximate 1.25m in length. The LED light requires 2 x AA Batteries (not included). It comes packaged in a 15" x 4.50" x 1.50" box.